What can I do with CSV2IIF (CSV/XLS/XLSX to IIF Converter)? Why should I trust CSV2IIF? Yes. 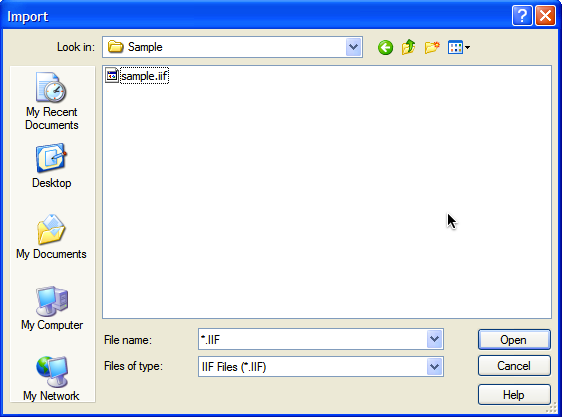 CSV2IIF is free to download and try. Your file will be fully parsed in the trial mode, so you can verify that CSV2IIF understands your transactions file correctly. You can create a fully functional and loadableIIF file before purchasing (with limitation to 10 transactions - this limitation is removed after you register). Yes. Please use the following CSV file. CSV2IIF can parse your CSV file much easier with expected column names. How I should import an IIF file that CSV2IIF created under Quickbooks? 1. 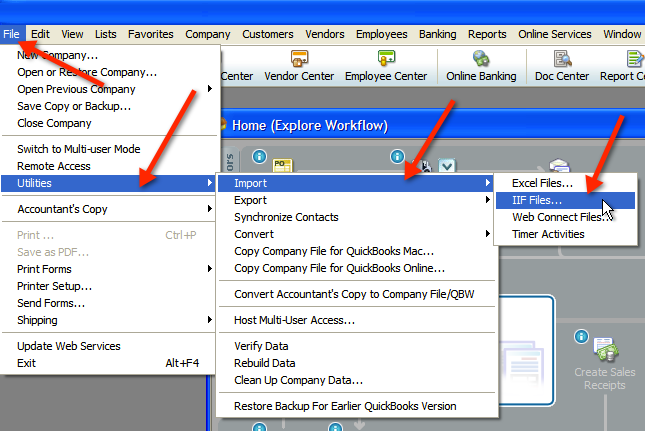 Start Quickbooks and select File, then Untilities, then Import, then IIF files. 2. Locate the IIF file you've just created. 3. Review your imported transactions (Done! ).